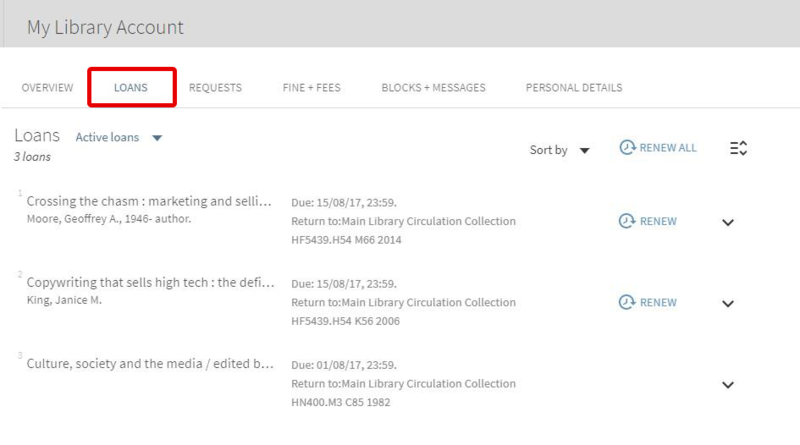 Most circulating materials can be renewed via My Library Account. Please note that recalled item, an item with Hold, and item in Course Reserve Collection and Special Collections CANNOT be renewed. The new due date is calculated from the date you renew the item. Click the Login icon on the Library website. 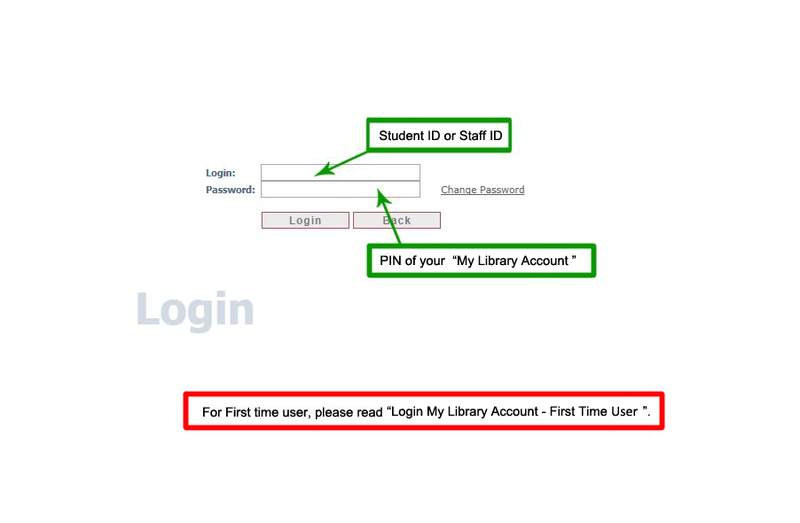 Type in your Login ID (student or staff ID) and Password. After signing in, you can view your current loan item(s) by selecting “Loans”. If you want to renew a particular item which is renewable, click “RENEW” at the right-hand side of the item. If you want to renew ALL items which are renewable, select “RENEW ALL”. 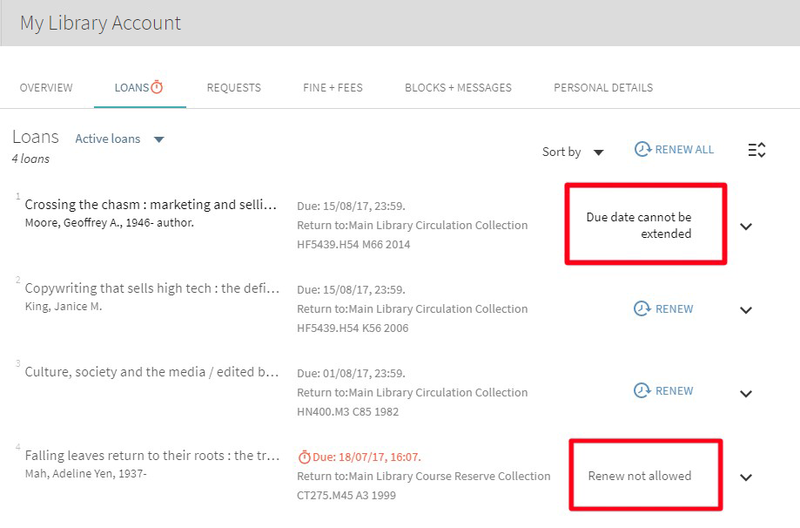 Note the new due date(s) for the renewed item(s). The status will be changed to Due date cannot be extended. The status will be changed to Renew not allowed.